He outdid himself with praise for Kim Jong-un. 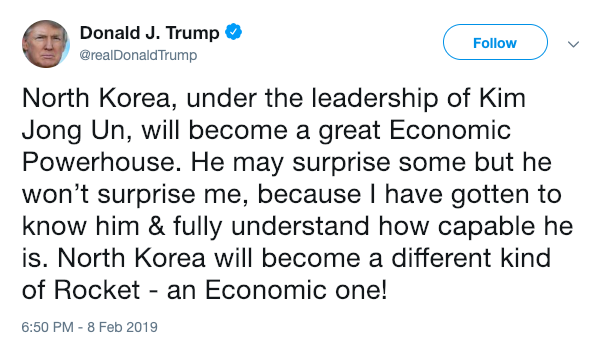 forced approximately 2,640,000 of his own citizens to work under conditions of slavery in "re-education camps"
Trump did not explain what about this résumé had particularly impressed him. Presidents should not praise murderers, hostage takers, dictators, enslavers, human rights abusers, hostile nuclear powers that threaten the United States, rogue states, or incompetent leaders.